This work is through my association with the Southwest Whale Ecology Study (SouWEST), which I have been a part of since 2010. 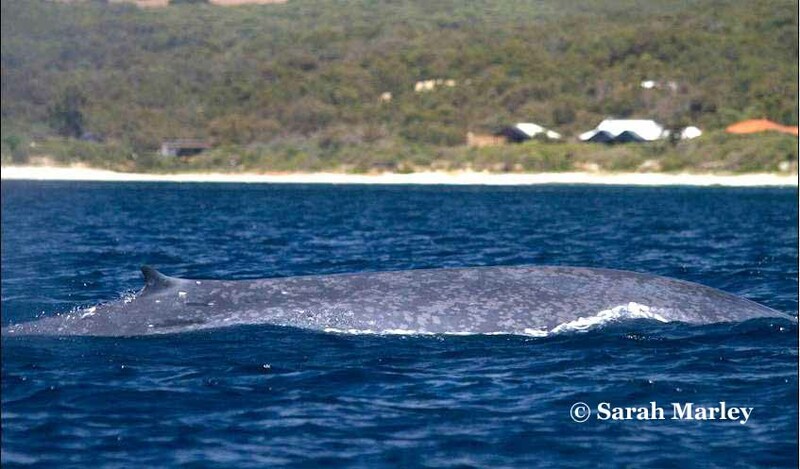 This research is a collaborative project monitoring baleen whales (primarily pygmy blue, humpback and southern right whales) in south-western Australia. Since 2010, I have been part of SouWEST, which combines the research expertise of Western Whale Research (WWR) and the Centre for Marine Science and Technology (CMST) with the community outreach experience of the Dunsborough Coast and Land Care (D-CALC) group. Together, we aim to provide a strong scientific foundation for whale research in Geographe Bay, and wish to ensure the conservation of these animals. Each year, baleen whales migrate through Geographe Bay with many mother-calf pairs stopping to rest and nurse within the sheltered waters of the bay. Many of these animals pass extremely close to shore (within a few hundred meters), which provides an excellent opportunity to conduct inshore research. Since 2003, boat surveys and photo-ID collection has been undertaken by WWR. The local community also assists, with their volunteer shifts contributing hundreds of hours of effort and sightings each year. Since 2009, a CMST acoustic logger has been deployed in the bay during whale season, and I regularly assist with this. However, primarily I assist with coordinating the land-based theodolite tracking team, which records the movements and behaviours of whales at a fine spatial scale. Data from this project is currently being prepared for scientific publication, however it is also being spread to the general public. I have been involved in giving talks to local schools and community groups. I also run the SouWEST website, which features more information on our research techniques and a regularly updated blog.